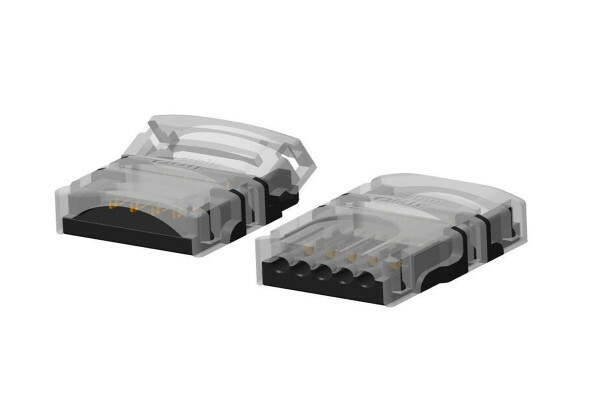 Forget tedious soldering - with the quick connectors of the LED Strip Accessories Set, connecting your RGBW LED strips is easy and convenient. LED Strip to LED Strip Connector: Connect two RGBW LED Strips without the need for soldering. Ideal for reconnecting shortened LED Strips. LED Strip to Cable Connector: Connect an RBGW LED Strip to a cable, again without soldering. This is handy for getting around corners. Please note that maximum of 10m (32.8')of RGBW LED strips can be connected at a time.